In a modern day adaptation of Les Liaisons Dangereuses set amongst wealthy NYC teenagers. Popular girl Kathryn takes the naive Cecile under her wing with an ulterior motive behind it that could spell disaster. Seven kids go in search of buried treasure and are hotly pursued by vicious villains vying for the loot. Lazzaro (Tardiolo) is an innocent peasant manipulated by a cruel employer. Rohrwacher’s gorgeous Italian fable is sometimes a little on the nose but thanks to her knack for depicting intimate communities and Tardiolo’s gentle performance, it’s an emotionally engaging triumph. Watch all eight Harry Potter films back to back. Adelaide (Nyong’o) and Gabe (Duke) arrive at their holiday home with their children, only to be confronted by a mysteriously familiar foursome. Peele’s follow up to Get Out is a neat twist on the home invasion story, with beautifully executed set pieces, and Nyong’o is phenomenal as both protagonist and chief aggressor. Fresh and arresting. 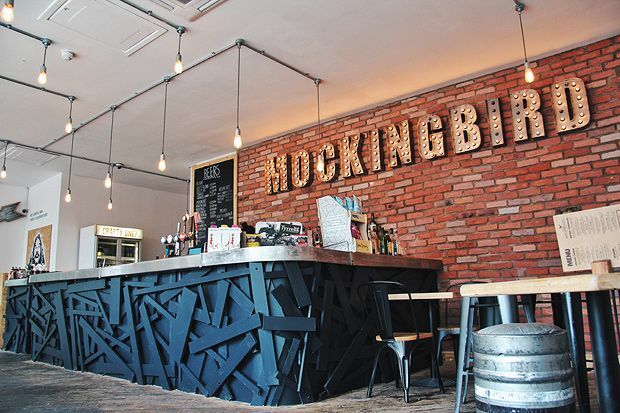 Situated within Birmingham’s iconic Custard Factory, The Mockingbird Cinema and Kitchen are looking to disrupt conventional cinema and bring an all-round offering of both films and food. Sample great food and relax within the creative hub of the city before watching a film in their independent single screen cinema. Text supplied by venue or third party.